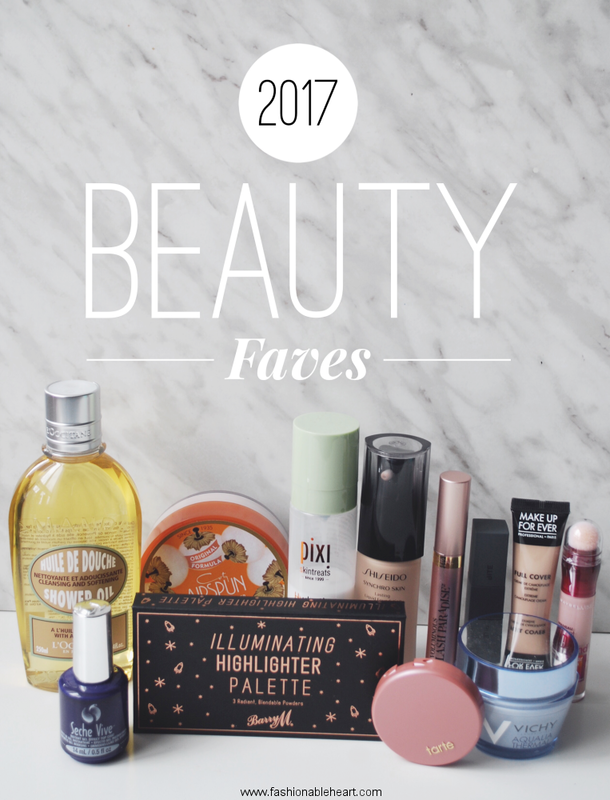 It's hard to narrow down my favorites from the past year, because I really came across some good products! 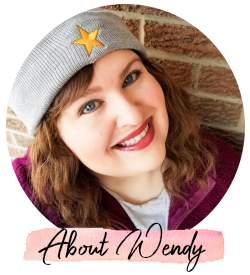 And even if some things aren't featured in this post, it doesn't mean I love them any less...I just didn't need this post to be a novel. 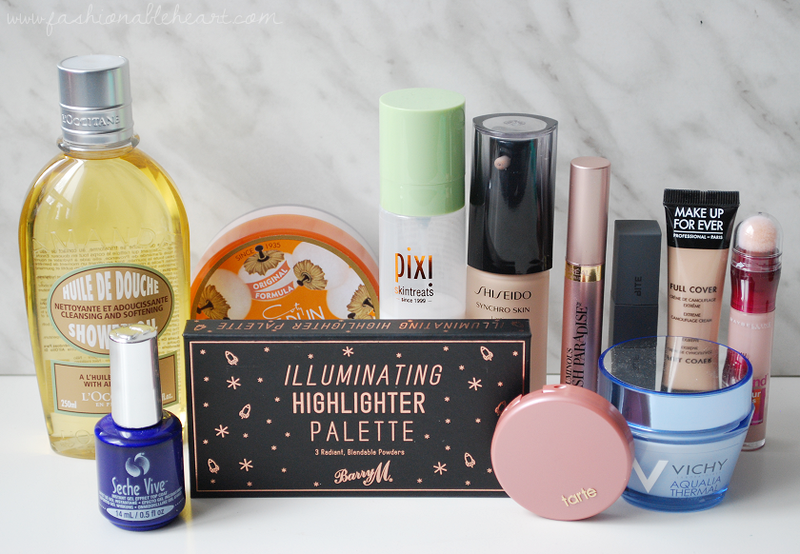 I tried to narrow it down to the products that I reach for super often, what I repurchase over and over again, etc. 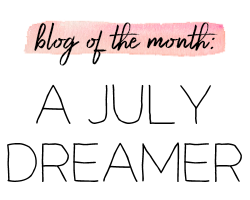 So I've broken down my categories into Tried and True, Newbies, Skincare and Nails, and Honorable Mentions. MUFE Full Cover Concealer - HG. I want to say this is my fourth or fifth tube. Covers everything! I do wish they went even lighter, as this is the lightest shade. Maybelline Instant Age Rewind Concealer - My favorite for under the eyes. Third tube! 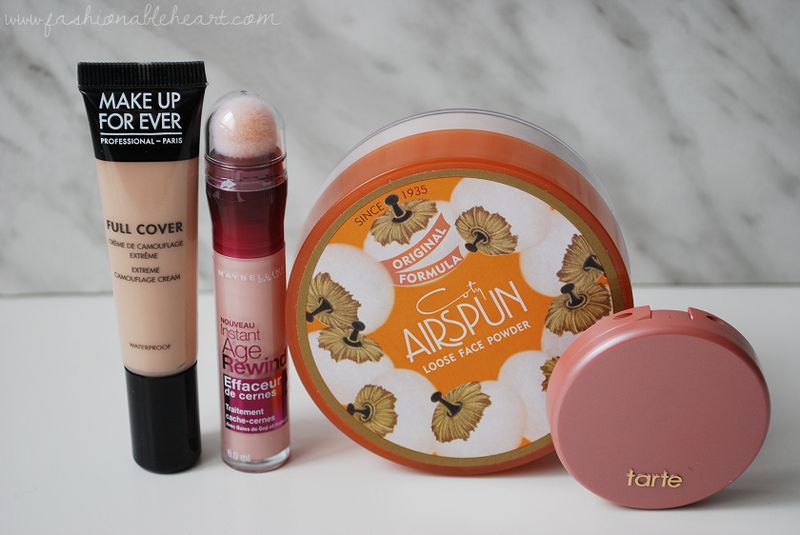 Coty Airspun Face Powder - My mom has always used this and I got it because of her. It's an amazing setting powder and affordable! 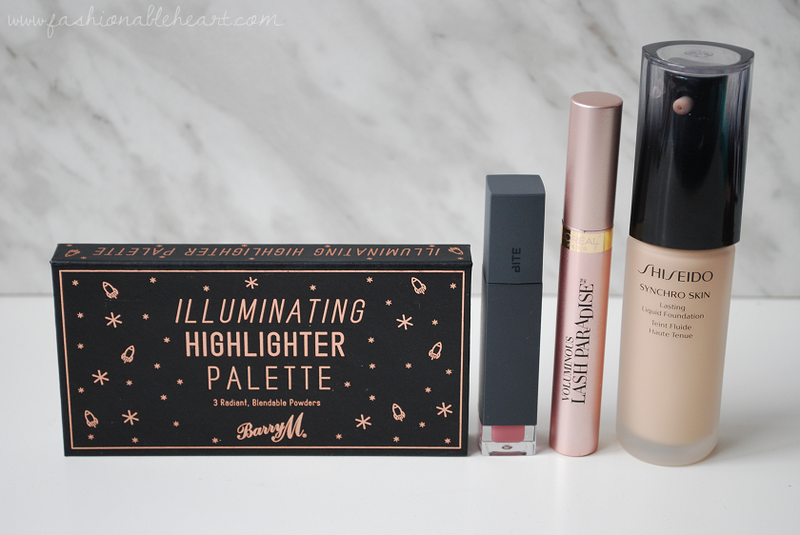 Barry M Illuminating Highlighter Palette - All three shades are brilliant and easy to work with. L'Oreal Lash Paradise Mascara - This usurped CoverGirl LashBlast as my fave drugstore mascara. Works great on my thin lashes! Shiseido Synchro Skin Foundation - In the category of "pleasantly surprised", because I didn't think the shade or formula would work for me. Definitely one you need to remember to shake and the pump works great. 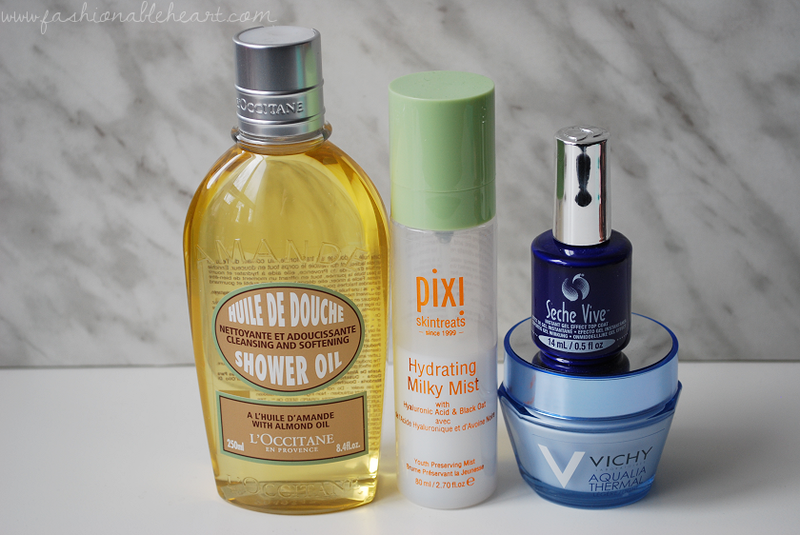 L'Occitane Almond Shower Oil - I always have a bottle of this in my shower. If you have dry skin, try this! Technically this should go in the tried and true category, but it fit better in skincare. Pixi Hydrating Milky Mist - One of the best facial sprays I own. It smells good and works like a charm. Seche Vive Top Coat - Works with any polish and gives it a gel effect? Yep! Love it! Vichy Aqualia Thermal Light Cream - The rich cream is good too, but the light cream works perfectly for daily use. It sinks so well into the skin and lasts all day. The Body Shop Almond Hand Cream - I have a few tubes of this because I reach for it so often! It battles dry hands and cuticles so efficiently. L'Occitane Petal Cleansing Oil - I love this oil! I would say it is probably the cleansing oil that I grab the most now. Arbonne Tinted Brow Cream - My first foray into brow creams and this one does not disappoint. I've since tried the Benefit one and enjoyed it too. 2017 was the year I found brow cream! ColourPop Super Shock Shadows - I have quite a few different ones, just click the ColourPop tag to see my other swatches. I love these. The formula is fun, most are easy to work with, and there are some amazing shades available. They can dry out and you can hit pan quickly but at $5 US, it's a crazy good value.